The BecoTray is the world's first eco-friendly cat litter tray that is truly functional. Made from natural plant fibres the BecoTray is sustainable to make and biodegradable when you are finished with it. The BecoTray has a high back lid for extra kick back protection and a push fit lid for ease of use. 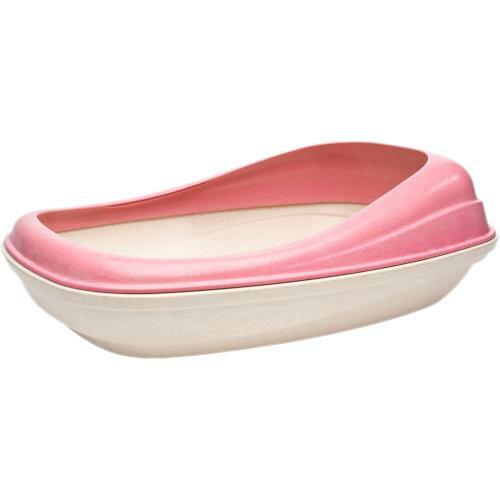 Heavier than a normal plastic litter tray it is much more stable and less likely to be knocked around the kitchen floor by the cat or a clumsy owner! If you like our BecoTray why not buy a BecoScoop too, and then you'll be an exceptionally eco-friendly pet owner.